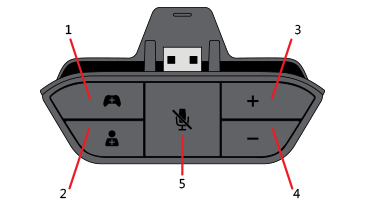 If you have a question or problem using the Stereo Headset Adapter, see the following topics. Try your Stereo Headset Adapter on another controller if you can. If the adapter works on the second controller, try updating the first controller again. If that fails, the controller will need to be replaced. To order a replacement, go to the Xbox Online Service Center. If your controller still disconnects after you update it, you will need to replace the controller. To order a replacement, go to the Xbox Online Service Center. 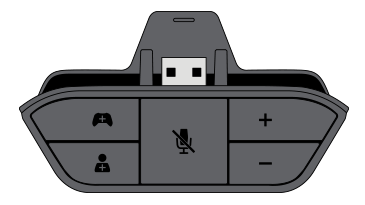 The Stereo Headset Adapter doesn't know if you're using your headset just for chat or for all audio, so the Xbox console doesn't automatically mute TV audio when you're using the adapter. You must manually adjust your TV audio volume. If your Xbox One Stereo Headset Adapter is broken, order a replacement from the Xbox Online Service Center. Would you like to contact Support regarding the "Troubleshoot the Xbox One Stereo Headset Adapter" issue you were reading about or a different issue?